A new report has highlighted the pressing need for better services and greater public awareness of ADHD, a neurodevelopmental disorder affecting up to 300,000 children across the UK. The report, A Lifetime Lost or a Lifetime Saved, found that over a third of surveyed adults and children diagnosed with ADHD had to visit their GP at least three times before being referred to a specialist, with more than a quarter waiting two or more years before receiving a diagnosis. According to its analysis, difficulties in obtaining care continue beyond receiving an initial diagnosis, with previous studies finding that around half of children with ADHD having no access to specialist services, as recommended by NICE guidelines. 13% were offered no support at all following their first ADHD consultation. Stigma is common across different mental health problems, but it appears to be particularly prevalent with ADHD, with a number of myths and misconceptions about its causes. Just 8% felt they received an excellent level of support from school teachers and nurses. The authors argue that the stigma faced by children and parents affected by ADHD leads barriers to support, both in healthcare and in education, which has negatively impacted their lives. Zoe’s son Dylan was diagnosed with ADHD when he was six. Zoe explained: “At the time my husband and I were devastated but nothing could prepare us for what was to come; a lack of understanding, lack of support, criticism and a great deal of stigma all seemed to come hand in hand when being associated with ADHD. “It’s had a massive impact on Dylan. He was expelled from his first school when he was three and he carries that with him. He’s aware that he struggles more than his peers. 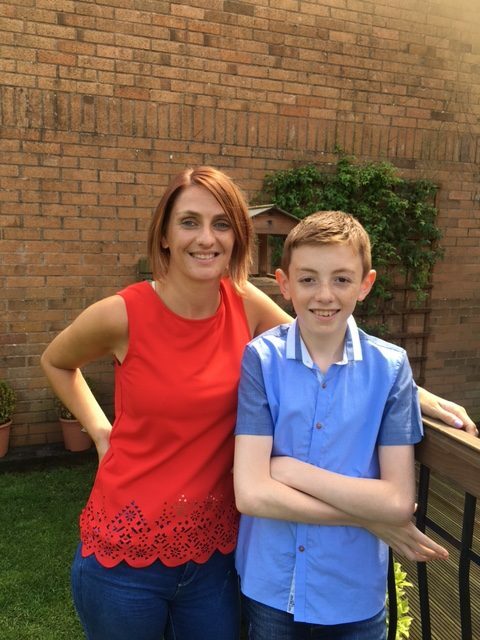 Medication has been one of the only things we’ve been offered to support him and, while it has helped, he really needs more one-to-one support in school. Zoe was later diagnosed with ADHD herself and has been a strong advocate for ADHD research at NCMH and beyond. “I strongly believe that research will help change the common misconception of ADHD being an excuse for bad behaviour, rather than the complex condition that it is,” she added. “This report highlights the problems of stigma and difficulties in accessing help that are encountered by affected individuals and their familes. “There is a wealth of research evidence from across the world showing that ADHD, a neurodevelopmental disorder, has potentially severe adverse short and long-term consequences. We are understanding more about its biology and different treatments, though more research is needed. However, services for ADHD lag behind those for conditions like diabetes, which also have harmful consequences if not managed adequately through lifestyle and where needed, medication.